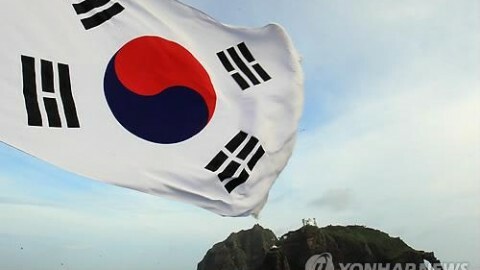 SEOUL, Aug. 13 (Yonhap) — South Korea’s ruling and opposition party leaders are set to visit the easternmost islets of Dokdo in a show of support for its sovereignty, party officials said Saturday, as the nation celebrates its liberation from Japan’s 1910-45 colonial rule. Rep. Hong Joon-pyo, head of ruling Grand National Party (GNP), and senior party members will tour the East Sea islets via helicopter to show their solidarity with the Coast Guard and strengthen their resolve to counter Japan’s recent territorial claims, his aides said. On the Aug. 15 Liberation Day, the chief of the main opposition Democratic Party, Sohn Hak-kyu, will lead a group of like-minded lawmakers to the rocky outcroppings to make a statement condemning Japan’s colonial rule and demanding the government’s strong action on diplomatic conflicts, his office said. A growing number of politicians have visited Dokdo recently, following an attempt by a group of conservative Japanese lawmakers to visit the nearby island of Ulleung earlier this month. Seoul saw the Japanese politicians’ visit as a bid to lay claim to the islets between Korea and Japan. A parliamentary committee had planned to hold a meeting on Dokdo on Friday, but it was canceled due to bad weather. Diplomatic tensions between South Korea and Japan have recently risen over a renewed Japanese push to strengthen its claim to the islets, as well as Tokyo’s approval of history textbooks and a 2011 defense paper that refer to Dokdo as Japan’s territory.